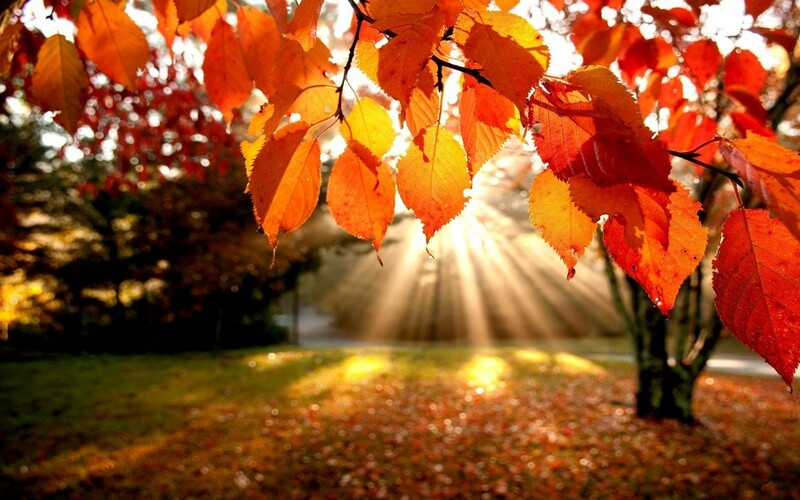 Fall is the perfect time to start your composting! It's fun...it's easy and will be ready by Spring! Have access to water, away from tree roots. Piles must be 5 to 6 ft. tall to have enough mass to build up the necessary heat. They can be a mile long, but MUST be tall to cook. 3x3’ is a minimum size. *Pile contents or feedstocks: (Called ‘Feedstock’ because we are building a living pile which must provide food for microorganisms).All plant material is composed of carbon and nitrogen. Green materials (fresh grass, weeds, kitchen waste, vegetable garden remains) are richest in nitrogen and have high moisture content. Brown (dry) materials (leaves, straw, sticks) are richest in Carbon, but still have a little nitrogen left. Hay has both. The proportion of how much carbon to how much nitrogen is VERY IMPORTANT. C:N ratio is how many parts C to parts N. 30:1 is ideal, though 25:1 through 40:1 will compost fairly well. It will be very slow (full year). How to speed it up? Add N fertilizer to increase the Nitrogen. Size of particles: The smaller and more uniform the contents, the faster the compost will ‘make’. Small particles make more surface for microorganisms to work on. Use a leaf shredder or lawnmower. Mower with a rear bagger is great. Mix everything together as you continue to add more feedstocks. The pile contents are food for living microorganisms. They are tiny, tiny and the only way they can get around is via a film of water around every particle in the pile. 50 to 60% moisture is ideal. Add water as you build. How do we know if it’s wet enough? Pile moisture testing: Squeeze a handful of the finished mix very tightly. It should hold together and when you drop it. A little should stick to your hand. If water drops come out, it’s a little too wet. It will still work, but the extra water makes the pile start out colder and fills some of the spaces that should be filled with air. The pile will need to dry out a little before it can start to cook. Living organisms need oxygen. That’s why we’re going to put some kind of bulking material in pile. Bulking material sticks or bark, big tough stuff which we don’t expect to break down. It will make air spaces in the pile and insure good oxygen content. When the pile is finished, we’ll screen this stuff out and use it again. Ideal porosity is 60% air. Beneficial bacteria will begin the process and they will get so active that they will build up high heat and use up all of the oxygen in the pile. Then they will start to die off, oxygen will return and fungi and fungi-like actinomycetes will become active. You don’t have to add microorganisms to the pile, they will come, but adding them is an extra guarantee of activity. Add recently finished compost, soil or manure as a starter. We will let our pile cook for 2 weeks. In that time, the microorganisms can build up temperatures as high as 150 degrees. It takes 130 degrees for 30 minutes to kill disease pathogens and weed seeds. After 2 weeks, we’ll turn the pile. Why do we turn the compost? The active microorganisms are operating in the center of the pile. As they work, they use up the oxygen and the food in the center and generate heat. We turn the pile as it starts to cool down, because we know they’ve used up their food and oxygen and need to have these things replenished from the outside of the pile. Turning adds oxygen and fresh food. The pile can’t be guaranteed to be disease and weed free unless every part has been in the center where the heat is. A good way to tell if it’s time to turn the pile is to stick a machete or other tool into the center of the pile, about 1/3 down from the peak of the pile. If it comes out hot, the pile is happily cooking along. If it was hot before and machete comes out cool now, the microbes have used up all of their supplies and the pile needs to be turned. We’ll turn our pile weekly after the first turn. 6. Curing sweet smelling earth. In the composting process, the pH will go up very high and a lot of acids will form. Put the finished compost aside to cure for a few months. The pH will come down to around 7 and the acids will decompose. 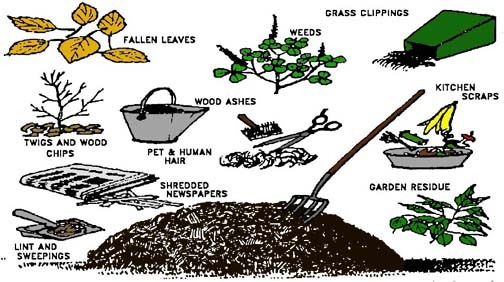 An unmanaged pile will still make compost, but it will be much slower and may contain pathogens and weed seeds (they are killed by the heat of a managed [turned & watered] pile.